When a music legend like David Bowie dies, it’s hard not to give a tribute as a way to remember the amazing things they did. 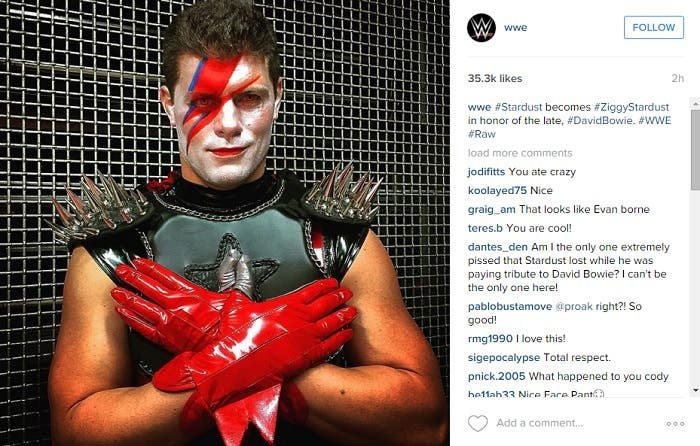 So, WWE superstar Cody “Stardust” Rhodes did one of the best tributes for the musician: bring to life one of David Bowie’s personas. For one night, Rhodes transformed from simply “stardust” to “Ziggy Stardust”, Bowie’s 1972 alter-ego. Think Stardust pulled it off well?